We’ve got our hands on another very cool 5500 Air-King! 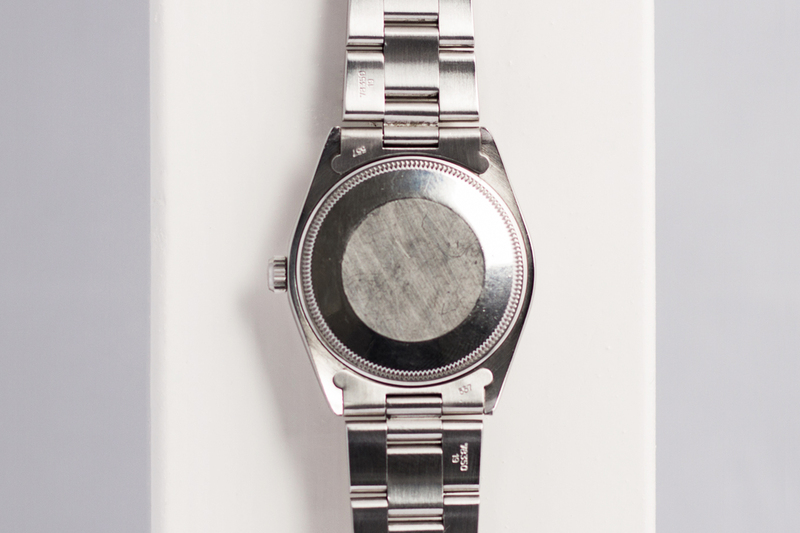 This time the watch has a black Stick Dial with white printing and a 19mm Oyster bracelet. Also, note the wider and thicker 3, 6 and 9 markers – that’s something you don’t see with every Air-King! 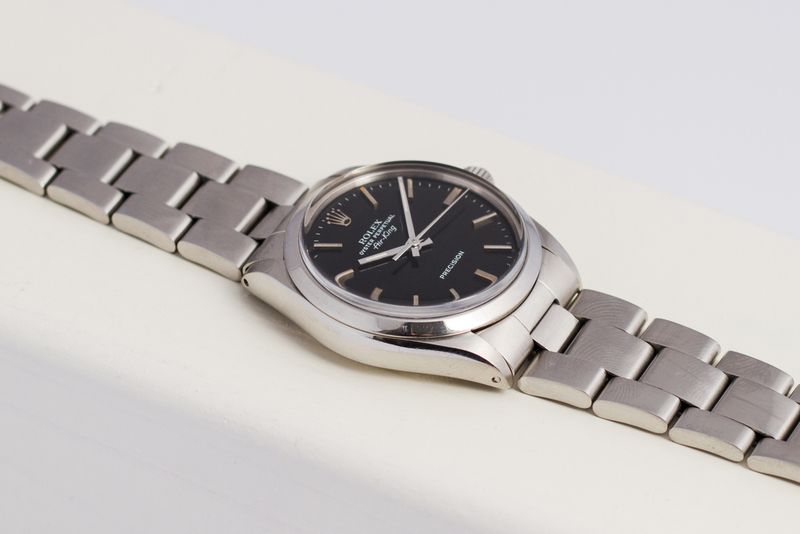 These 34mm vintage Air-King watches are a great buy. 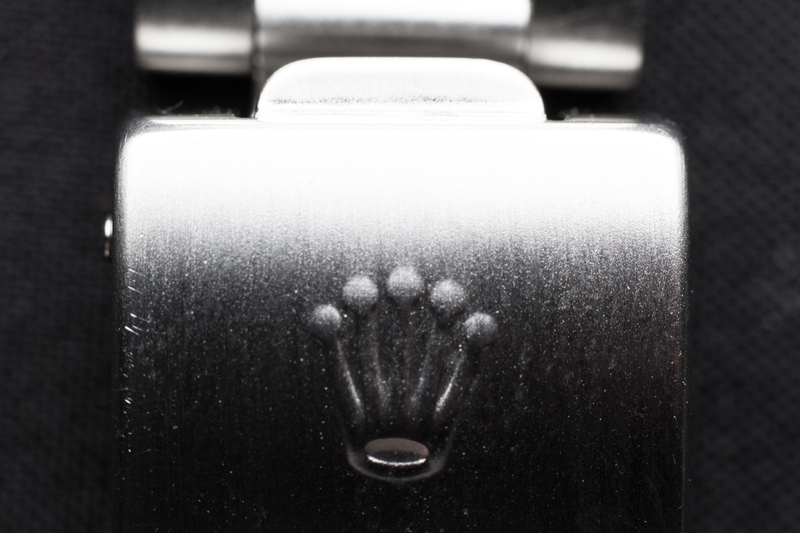 They will not break the bank but you still go home with a wonderful vintage Rolex with a ton of history attached to it’s name. The Air-King watch first saw action back in the 1930’s when British fighter pilots started wearing the Air-King as their trusted companion inside the cockpit of their fighter planes. (remember that back in those days, a wristwatch was like an extra instrument for the pilot, next to the ones in the cockpit). 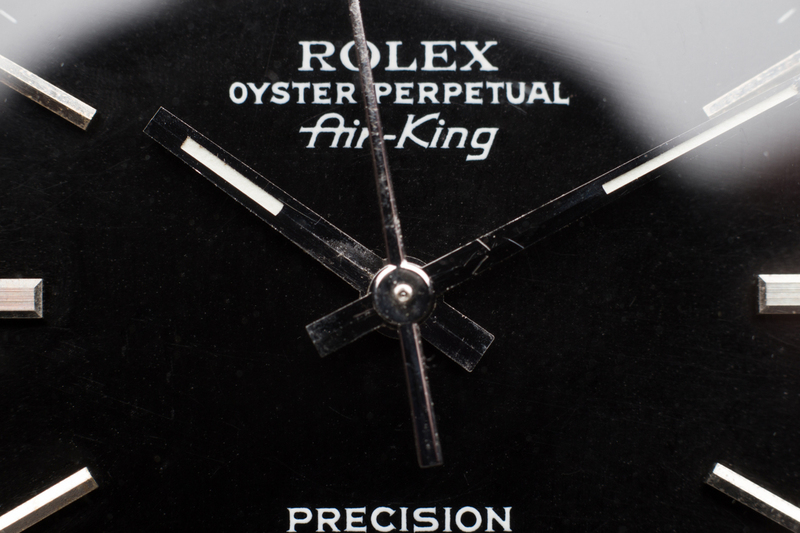 During that period in the 1930’s, Rolex developed several other watches similair to the Air-King with truly fantastic names! Names like; Air-Lion, Air-Tiger and Air Gigant. Most watches from this ‘Air’ line never became popular with the general public. 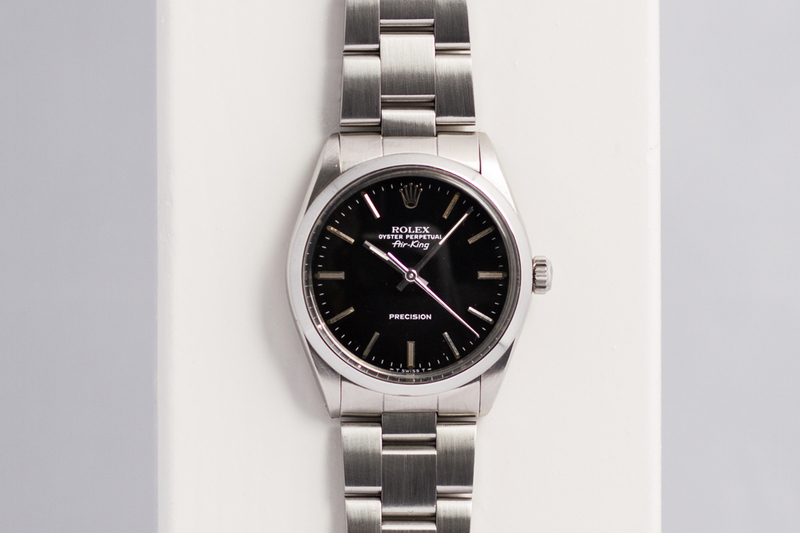 Except for the Air King, this model and its cool name stayed in exsistence and is currently one of the longest continuously-manufactured models within the Rolex brand. 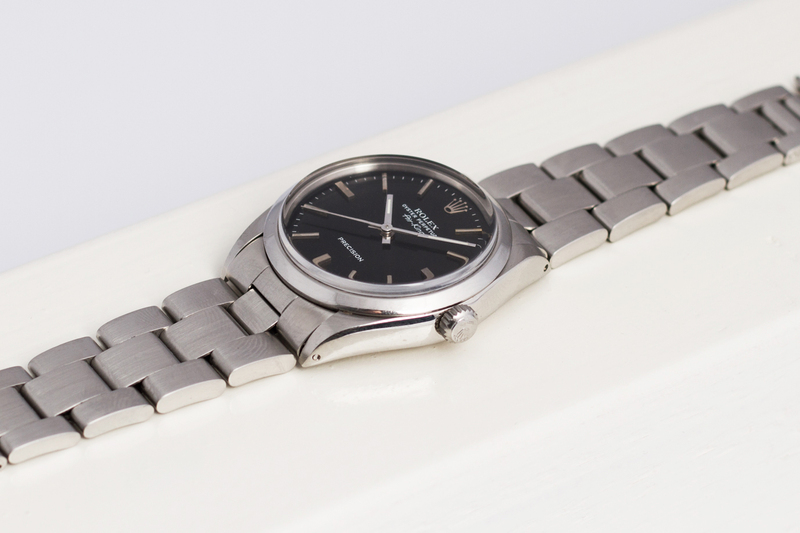 Nearly everybody has a soft spot for the 5500 Air-King for its simplicity and clean look. Its a true classic with cool military history and is a fairly affordable Rolex, especially when compared to its bigger brothers. This 5500 Air-king has been fully serviced by our watchmakers and comes with a 12 month warranty.